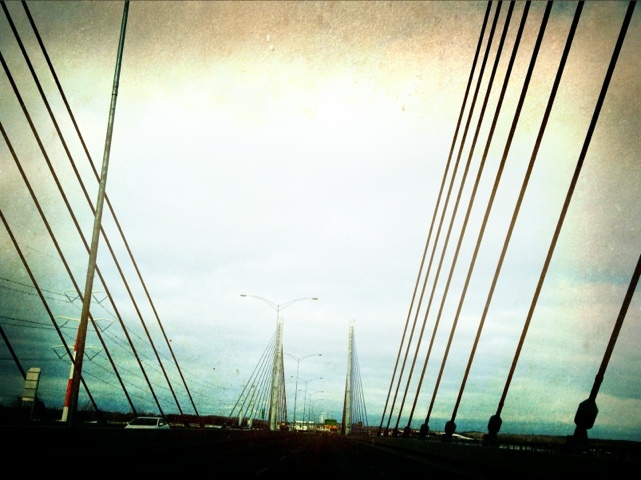 This photo was taken while driving to Quebec City. Winter Carnival to help and participate in the equestrian ski joking event. I used camera+ and a new app I just downloaded to my iPad called 100 cameras. This picture was taken while on a road trip to Canada. 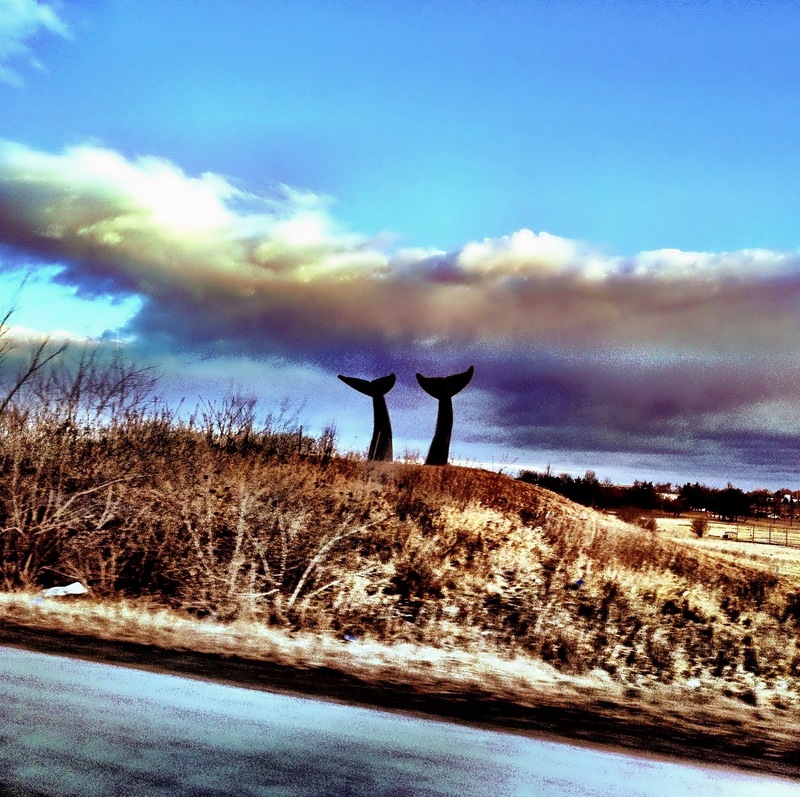 The whale tails are located off Route 89 near South Burlington, Vermont. I used camera+ to take the picture along with a little bit of editing and then I used perfectly clear. I am still trying to master how to get my pictures to look more like real pictures. I was also very interested to know the story behind the Whale Tales and I found this on the internet. The name of the whale tails sculpture is “Reverence” and is meant to symbolize the fragility of the planet — that is, if you think of granite as fragile. It was commissioned in 1988 by a wealthy British metals trader named David Threlkeld, who lived in Randolph at the time. Jim Sardonis sculpted each of the two 13-foot high tails from six tons of black granite. The tails resided in Randolph beginning in 1989 and were to have been placed in front of a motel and conference complex planned by Threlkeld, but financing fell through and Threlkeld split for Arizona. The tails were offered up for sale with a price tag of $100,000. New Bedford, MA was considering it for awhile, and a sale to the Hartford Whalers hockey team seemed possible until the team moved and changed its name, but the tails eventually found their way to their present location beside Rte 89 outside Burlington. 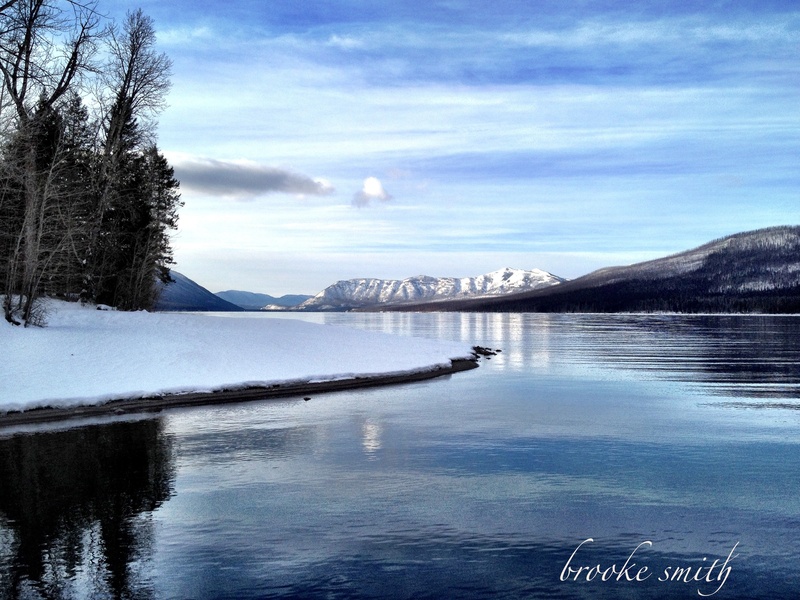 This is a picture I took while in Glacier National Park in Montana January 2012. I just started to use my iphone to take pictures. I used the camera+ app to take the picture and to do the edit.